Home Viral news Why did a Mexican hospital use unapproved device on 474 patients? 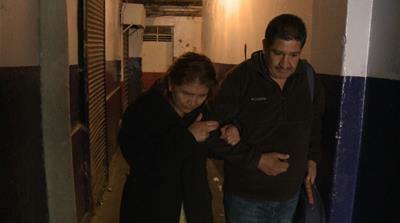 Mexico City – Juan Manuel Armenta helped his wife Yolanda Guerrero up the steps to their apartment in a working class building block in Mexico City. Her face was twisted in pain as she climbed three flights of stairs with slow halting steps, clinging to her husband along the way. It wasn’t always like this, however. More than 10 years ago, Yolanda unknowingly became one of nearly 500 patients implanted with an unauthorised device at the country’s flagship state neurological institute. While it is unclear what effect the device may have had on her health, Yolanda said she and the hundreds of others deserve compensation for the malpractice they endured. In their small apartment, Juan Manuel carefully eased his wife’s thin, wasted frame into a scratched old leather armchair, and got out an old photo album. Yolanda pointed to a photo of herself taking on a model’s pose in a sun lounge, enjoying a beach holiday in Acapulco. She was a dedicated sportswoman, spending three hours a day on weights, karate and swimming. Tears started to roll down her face as she looked at her healthy former self. The photo was taken before she began experiencing debilitating headaches in 2004. Suffering from unbearable pain, Yolanda went to Mexico’s National Institute of Neurology and Neurosurgery (known by its initials in Spanish, INNN) that same year to seek treatment. She was diagnosed with hydrocephalus – excess fluid on the brain. The doctors inserted a tube to drain the fluid – it did not work. On the December 12, 2004, they tried another device. Installing this device was a straightforward operation and the authorisation form that Juan Manuel, Yolanda’s husband signed, reflected that. It was a brief document – less than one page – that stated that he “knew the details of the procedure and the possible complications”. Except he said that neither he nor Yolanda were told about the nature of the device. The tube Yolanda was fitted with had never been authorised by Mexican authorities. Following an investigation into Yolanda’s case, the National Commission of Medical Arbitration – an autonomous government body – concluded in 2009 that malpractice had occurred. In its non-legally binding report, the commission found “[the tube] is not a device with the sanitary authorisation to be used in human beings”. Al Jazeera asked the Federal Commission for the Protection against Sanitary Risks (COFEPRIS) if there was any record of the device. The list the authority sent back of authorised products of its type did not include the tube. COFEPRIS said this was all the information its possessed. Despite the lack of authorisation, the device was used, not just on Yolanda, but on at least 474 patients who were fitted with it from March 1993 to October 2007 at the INNN, according to doctors working at the institute at the time and documents seen by Al Jazeera. Three doctors told Al Jazeera separately that patients were not told that they were about to be fitted with an unauthorised device. “Nobody’s case file included an informed consent – in terms of the experimental character of the dipositive. Not one,” said neurologist Dr Carlos Marquez Caraveo. INNN has refused to clarify if patients were informed or not. It says that information “must be classed as confidential”. 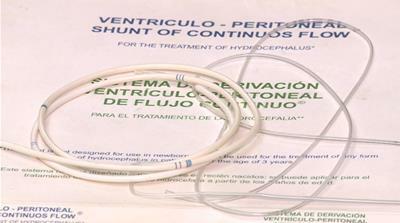 Al Jazeera has seen the authorisation forms of six patients on whom the device was used. Nobody’s case file included an informed consent – in terms of the experimental character of the dipositive. Not one. The forms do not explain its unregistered and experimental nature, nor the risks involved. According to doctors, consent forms of this type can run to hundreds of pages. The six forms seen by Al Jazeera ran to two short paragraphs. Despite this, and years of complaints, the country’s general attorney’s office has said it will not investigate further, prompting a campaign by a congresswoman and an NGO to get some form of justice for those fitted with the tube. The tube was known by different names, from ventriculoperitoneal PCD tipo INNN to SDVP PCD tipo INNN and SDVP. But what was not under dispute was that it was a basic device, amounting to little more than a plastic tube. One end entered the patient’s skull, the other emerged in the abdominal cavity. According to the doctors who spoke to Al Jazeera, the idea of the device was simple: gravity ensured that any excess fluid flowed from the patient’s brain, down the tube and was harmlessly dispersed in the stomach area. Those doctors say, however, that the device ignored an obvious question: how could gravity do its job if the patient was not vertical? Lying down, they said, was out of the question. Whether sleeping or resting, according to the doctors, the patient would have to be at least partially upright 24/7 for the rest of his or her life. Other devices had already incorporated valves decades before, to stop the fluid rising back up to the brain whenever the patient was reclining. Neurosurgeon Jorge Vidaurreta, who works at Mexico’s Red Cross Hospital and is unconnected with INNN and the case, told Al Jazeera that one other such device called Biomed, which was available in Mexico at the time, “works and it’s cheap”. Despite the presence of other authorised devices, the experimental device was still used. Those doctors who worked at INNN at the time who spoke with Al Jazeera pointed to the fact that the device’s inventor held senior positions at the institute. His website names him as the winner of the highest medical award in Mexico. From 1998 to 2006 Sotelo Morales was director of the INNN. Before this, he served as the subdirector general and director of investigation of the INNN. He was also the inventor of the experimental device. Neurologist Carlos Marquez Caraveo told Al Jazeera that during Sotelo Morales’ leadership of the INNN “boxes and boxes” of the device began to appear in place of other, proven, valvular ones. “The neurosurgeons in the INNN did have access to Biomed but there was a recommendation, I would say a demand … that you had to recognise the brilliant idea of Sotelo,” Marquez Caraveo told Al Jazeera. Sotelo Morales and his co-authors maintained through publications in neurosurgical journals, that his invention had better long-term performance than valvular devices, as well as avoiding “over- draining” and the mechanical failures that such devices suffered. One 2005 publication said that the “highly precise internal diameter” of the tube meant that it was able to control the flow of fluid, whether the patient was lying down or standing up. The device remained unauthorised, however, and the story of patients like Yolanda who were fitted with it unknowingly began to surface in local media. The device was quietly retired in 2007 after being implanted in nearly 500 patients over 14 years. In an interview with Mexican newspaper Excelsior in 2015, he denied patenting the device, saying that didn’t “interest” him. However, a patent for the device, under Sotelo Morales’s name, exists in the February 1997 archives of the Mexican Institute of Intellectual Property. Sotelo Morales and officials at the INNN, along with the health ministry, denied Al Jazeera’s repeated requests for comment. Sotelo Morales did direct Al Jazeera to an opinion piece in a newspaper that described his qualifications and commented on Yolanda’s treatment and health. Sotelo Morales remains at the top of his profession. He is now part of a select science and technology committee that advises the Mexican president, according to that organisation’s website. An INNN spokesperson told Al Jazeera he is currently working as a researcher at the institute. For the doctors who spoke with Al Jazeera, the lack of an investigation and possible consequences for those involved in the promotion of the use of the device is a sign of a wider problem in Mexico, in which those with power and connections often ride roughshod over rules and regulations. “Impunity. Impunity at every level. Government impunity, local impunity,” neurologist Edgar Nathal told Al Jazeera. 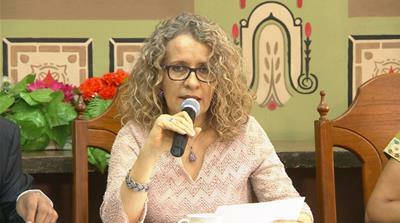 For those implanted with the device, like Yolanda Guerrero Caballero, there has been no apology or compensation. Many may not even know that they carry an experimental, unauthorised device inside them. Yolanda did take her case against the INNN to Mexico’s attorney general’s office in 2008. In 2016, she got a response – “no penal action” would be taken. According to the attorney general’s office, time had run out for them to investigate. They later told Mexico’s National Comission of Human Rights (CNDH) that this was partly because of the “lack of action by the lawyer who represented the interests of Mrs Yolanda Guerrero Caballero”, according to a June 2017 CNDH document. Yolanda and Juan Manuel both believe their case simply sat on the shelf for eight years before being thrown out. All this despite the office having in their possession the report from the Commission of Medical Arbitrage stating that malpractice had occurred. The attorney general’s office did not respond to Al Jazeera’s request for comment. In 2017, Congresswoman Araceli Damian tried to get closer to the truth of what had happened. Through a freedom of information request she forced the INNN to reveal how many people were implanted with the device – 474. For her the scandal is a showcase, emblematic of a country in which often only lip service is paid to victims of institutionalised abuses or corruption. “We’re in a human rights crisis and this is a violation of human rights. We demand that the state attends to this” she told Al Jazeera. But her influence as a politician has appeared to count for little. When she asked the attorney general’s office for information on their investigations regarding the device, they wrote back saying that was “impossible”. The only hope left for Yolanda and other patients fitted with the tube appears to be the Inter-American Commission on Human Rights which is currently deciding whether to accept Yolanda’s case. If that body does take it up, it could be years before it sends it to the Inter-American Court, where any judgement would be made. And even if the court rules in favour of Yolanda and other patients, the Mexican government is not legally obliged to follow its verdict. In a June 2017 document from CNDH, the National Institutional Institute of Neurology and Neuroscience claimed that Sotelo’s device was implanted with the “informed consent” of Yolanda’s husband Juan Manuel Armenta Bravo. The report also said that Yolanda’s condition had worsened because she had not been for regular check-ups. The report indicated that she had been going to the institutes’s emergency room, rather than to regular appointments. It’s unclear if the unauthorised device had any effect on Yolanda’s health or if she is just suffering from the effect of years of hydrocephalus and its attending symptoms but the decline has been undeniable. 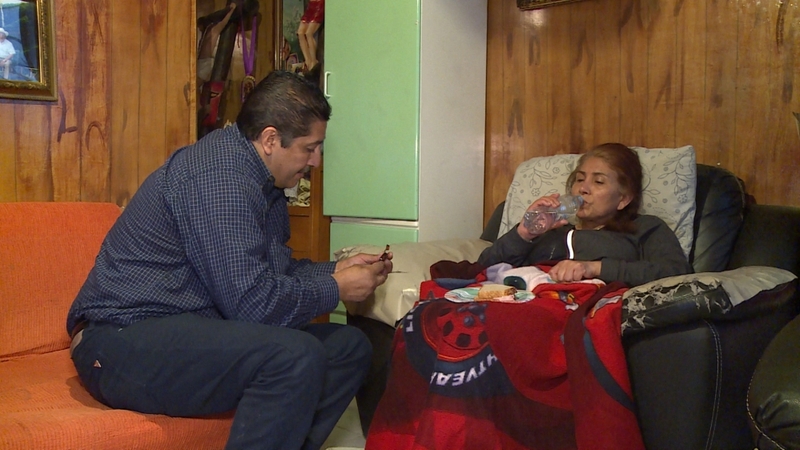 She and Juan Manuel said they had to sell their house to pay for medical bills. She said she is torn between wanting to hang on for her 15-year-old daughter, and the desire to give up on a life that has become unbearably painful. “I’m frightened of dying” she said, sitting in the armchair she’s been forced into over years of worsening health. “Of leaving my daughter […] I’m just so tired,” she added.